Does Your Product’s Packaging Matter? There are beauty products we buy just because we love the product – it doesn’t matter to us whether they’re in a beautiful package or a simple box or tube. Then there are products we buy just because we love how they’re presented – unique branding, stunning typography, even an eye-catching logo can draw you in. But no matter your reason for buying beauty products, there are a few things to consider about the package it comes in. Some of you may have heard the rumor that jar packaging isn’t safe for cosmetics because it can leave the product open to the elements – particularly those that aren’t stable. It turns out, products packaged in glass or plastic jars can be safely used, especially when it’s a cream or moisturizer. The question is actually whether the product incorporates preservatives, as most larger companies do to extend its shelf life. In an article on Skin & Tonic, chemist Perry Romanowski mentioned that smaller, natural brands that forgo preservatives may want to stay away from using jars or glassware as it can become unhygienic. However, there are natural preservatives out there, not to mention many companies will share the shelf life of a product, so just be sure to research. These are a convenient option, especially when on the go, since they’re lightweight and cheap. Plastic squeeze tubes are great for protecting any antioxidants in products from light and air, thus preventing them from breaking down or wearing off more quickly. But with translucent plastic squeeze tubes, you run the risk of exposing it to direct light, so you’ll want to be careful of that. The drawback to plastic is of course that it is your least eco-friendly option. This is why you’ll see alternative packaging in many natural brands. Luckily some brands are getting behind plastic-like biodegradable packaging. There are a few perks to glass containers, regardless of the shelf life debate. Glass is a near-perfect barrier which combats oxygen transmission and protects those formulas from the elements. A darkly tinted glass container will protect the product from harsh light much better than a plastic tube too. Further, in some cases the formula in a product can interact with plastics to change the composition of the packaging – a problem often seen with perfume. So for certain cosmetics, glass totally does make more sense. The biggest issue with screw-top containers, whether they’re glass or plastic, is that repeatedly dipping your hands in (or exposing it to water or other elements), can destroy your product. If this is your concern, simply follow the rules – make sure only clean hands go in, and that the lid is properly secured when you’re finished. In the end, it’s all about researching your product, its ingredients and its shelf life too. 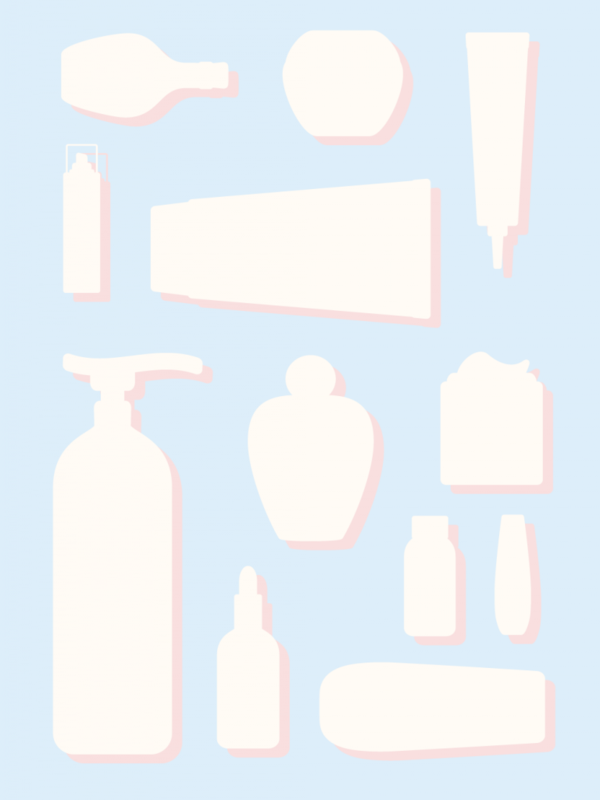 Have you considered your beauty product’s packaging before?